This article evaluates the connection between the establishment of bike lanes and increase in commercial property value. 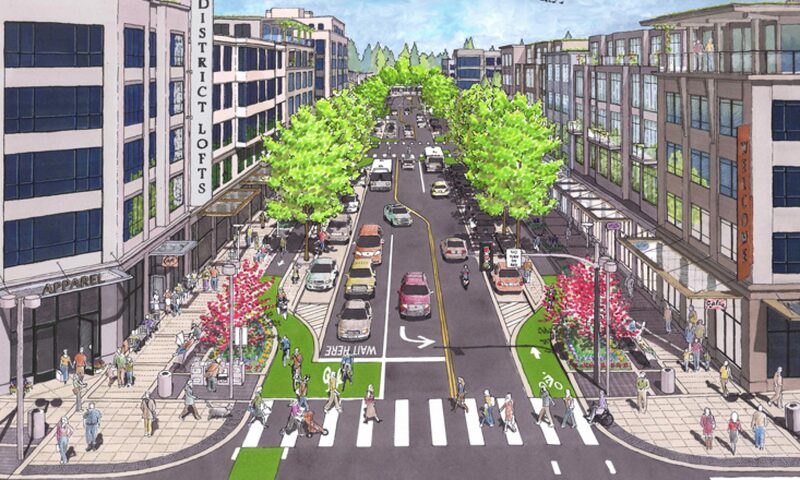 The conversation continues about whether bike lanes lead to gentrification. We contend that safe street infrastructure does not lead directly to gentrification, but rather that gentrification often happens at the same time as road infrastructure is improved. The link between street improvements like bike lanes and pedestrian plazas and a subsequent jump in property values is no secret. While protected bike lanes have proven to decrease injuries for cyclists and pedestrians, they’ve also been linked to an increase in retail sales, according to a 2014 report from the Department of Transportation.